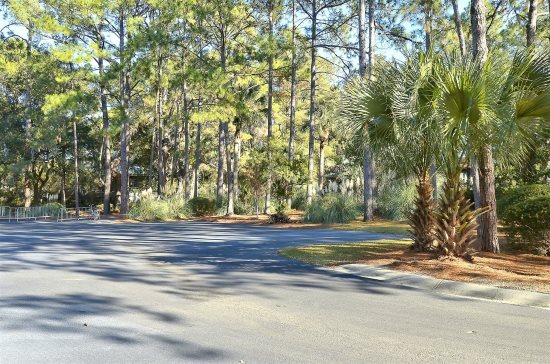 Located 2 blocks from the beach, this 4 bedroom, 4 Bath North Forest Beach home will enhance every second of your dreamy week-long vacation on Hilton Head Island. 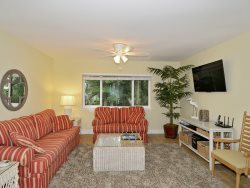 Upon entering the property you will find the comfortable living room with 50" flat screen TV to your left. To the right is the spacious master suite featuring a king bed, flat screen TV, and private bath with double sinks and a stand-up shower. Past the living room is a formal sitting room great to play a game of cards or discuss the next day's activities. A newly renovated kitchen with granite countertops and stainless steel appliances is sure to please the chef in the family. Stocked with all of your cooking essentials and utensils, you will look forward to coming home for dinner after a long day at the beach. 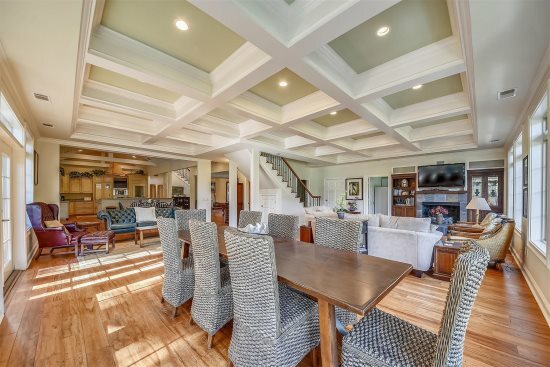 There is plenty of space to eat at the formal dining table with seating for 8 and 3 additional bar seats available off of the island in the kitchen. A small foyer off of the dining room leads to the front door and gas grill. Behind the kitchen is where you will find the remaining 3 bedrooms and laundry room with full washer and dryer. The first bedroom includes 2 twin beds with a TV and access to the hall bath. The second bedroom has a queen bed, TV, and private bath with both a shower and bathtub. The 3rd bedroom features a queen bed with TV and a private bath with a tub shower. If you prefer the pool over the beach, you will enjoy the 16x9 pool on the enclosed balcony with plenty of space to lounge and soak up the sun. TEAM WAS HELPFUL AND FRIENDLY. ALL REQUESTS WERE COMPLETED. THE HOUSE IS VERY CONVENIENT AND COMFORTABLE. Called the "emergency" number on Sunday, check out day, and was granted an extra hour to check out! The members of Sunset Rentals were very friendly and informative. We all loved the property at 2 Egret. Our stay was very enjoyable and look forward to staying there again. Tell us about your favorite feature of the property. All the features were very good but most importantly the beds (mattresses) were very comfortable. I was extremely impressed with this rental. Further, your office was wonderful in terms of making the process easy and startight forward. Thanks!